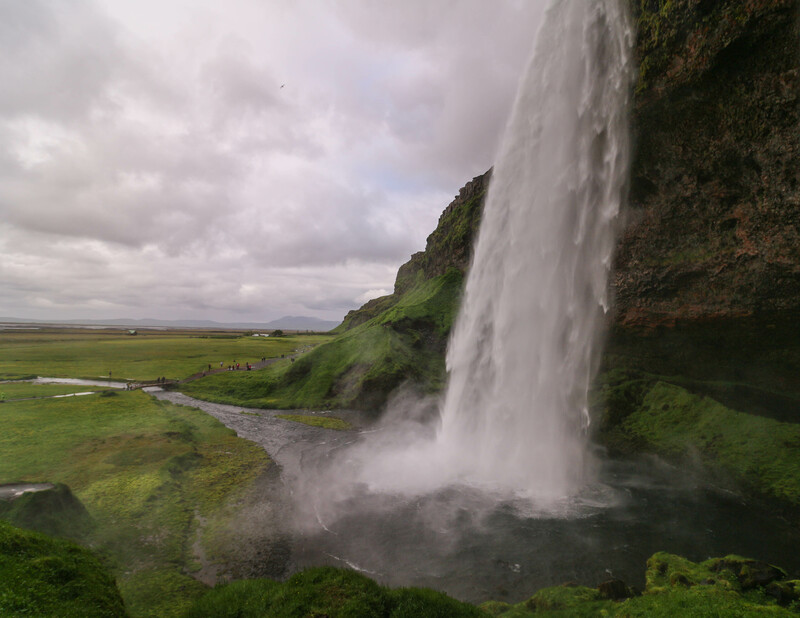 Seljalandsfoss and Gljufrafoss are a short walking distance away from each other, and both offer an up close and personal experience. 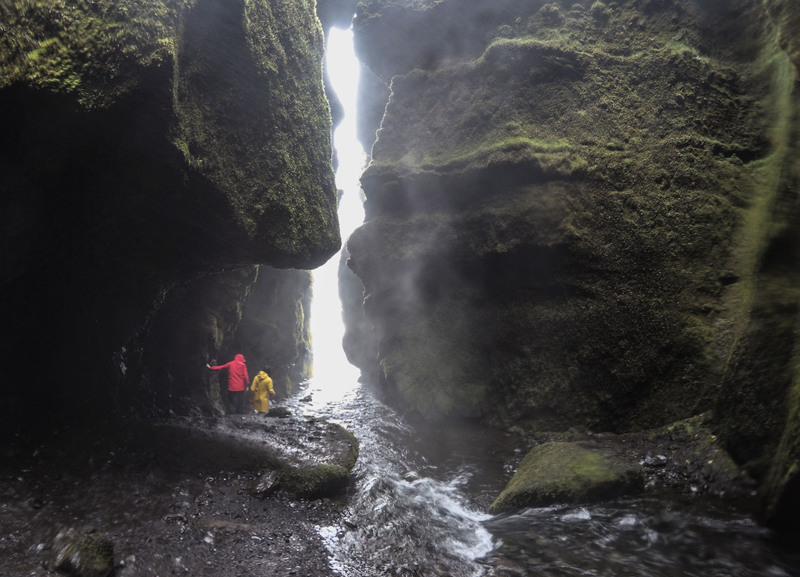 There’s a relatively easy (but slippery) pathway that allows you to walk behind Seljalandsfoss. This is possible thanks to a cavern that formed, due to erosion from the moisture-loaded environment and constant beating of the falls. Right nearby is Gljufrafoss which, for slightly more adventurous folk, can be waded into. 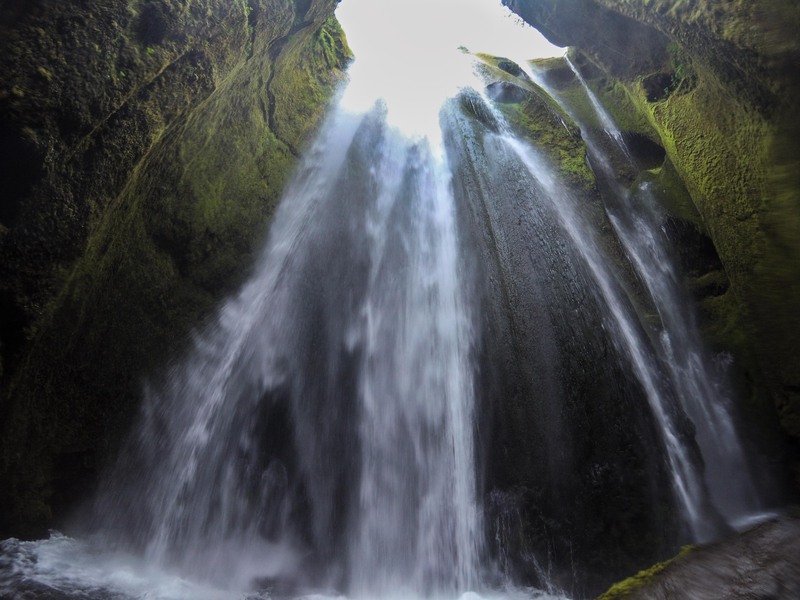 This waterfall is also known as Gljufrabui, which literally means ‘the dweller in the gorge’. That’s because it’s partially hidden behind rock formations and needs to be waded into to be seen. Take waterproof clothes and shoes – it’s a short, wet walk and well worth it. Both waterfalls are fed from the same glacier, Eyjafjallajökull, which became very famous in 2010 when the volcano underneath it erupted and caused widespread travel flight chaos. I slept a short ferry ride away on Heimaey, at another brilliant guesthouse here.